Furniture Stores Multiple Responsive Prestashop Theme is a wonderful theme in Prestashop 1.7.5.x – the newest version at this moment with full features of online store. It was designed for diversified commodities like Clothing store, fashion store, shoes, Bags, Shoes, Jewelry store, Home Decor, Interior, Furniture and multiple stores. 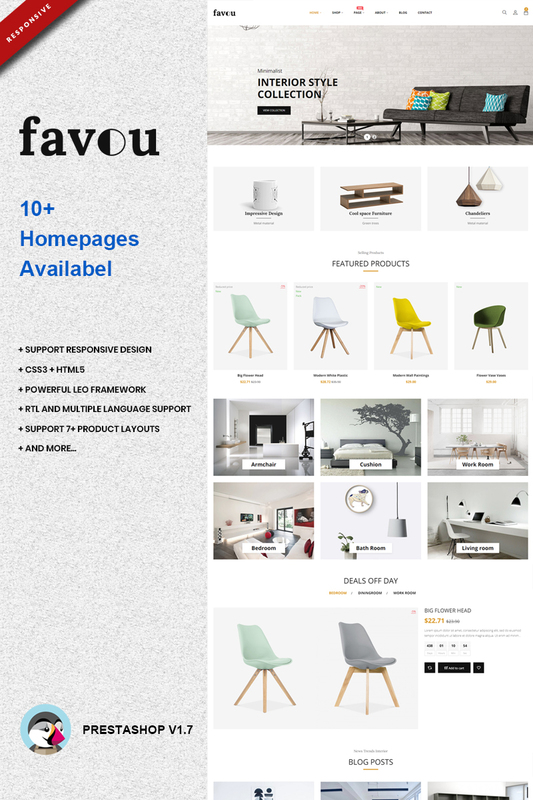 This is totally responsive so it is completely adjustable for any kinds of devices (desktop, laptop, tablet, mobile phone) highly customizable prestashop theme.